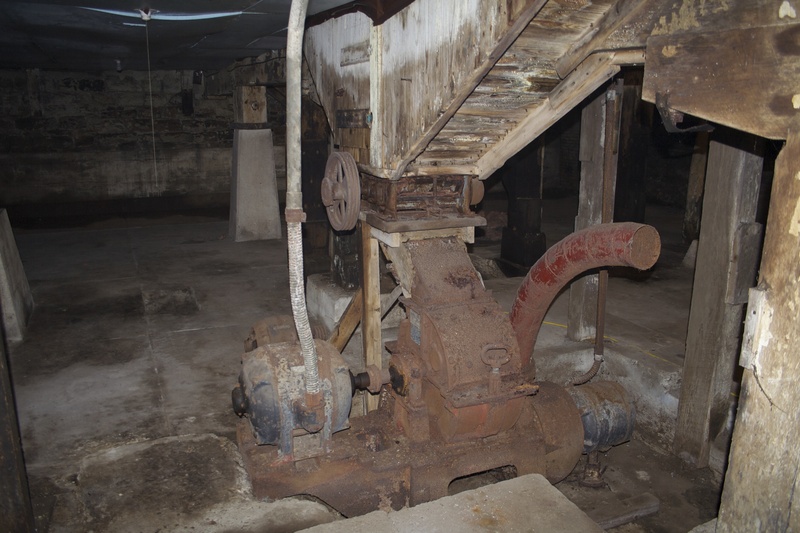 When the Mill opened in 1875 it used french stones to grind grin. 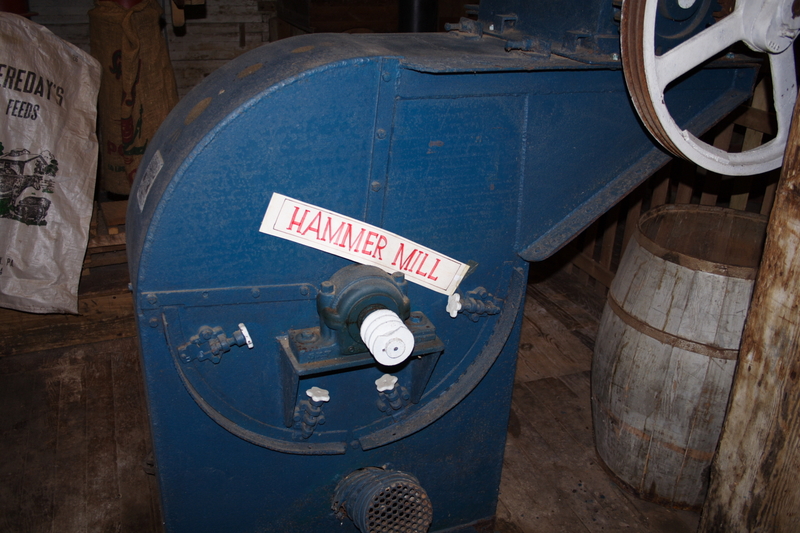 But these were later upgraded to hammer mills. 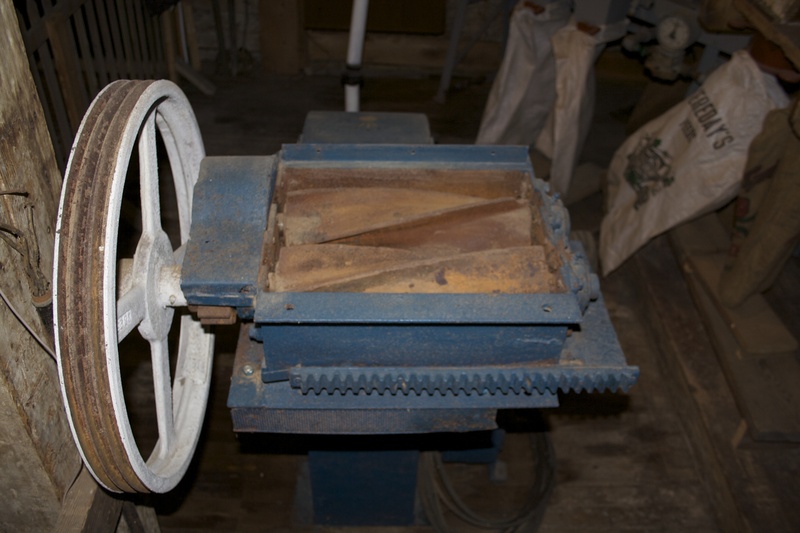 The hammer mill took in grain at the top and then a spinning metal flail ground the grain in the circular part of the mill. We had one on the first floor for display but they actually resided in the basement where one could still be found.